Hope all Mother’s everywhere had a wonderful Mother’s Day yesterday! 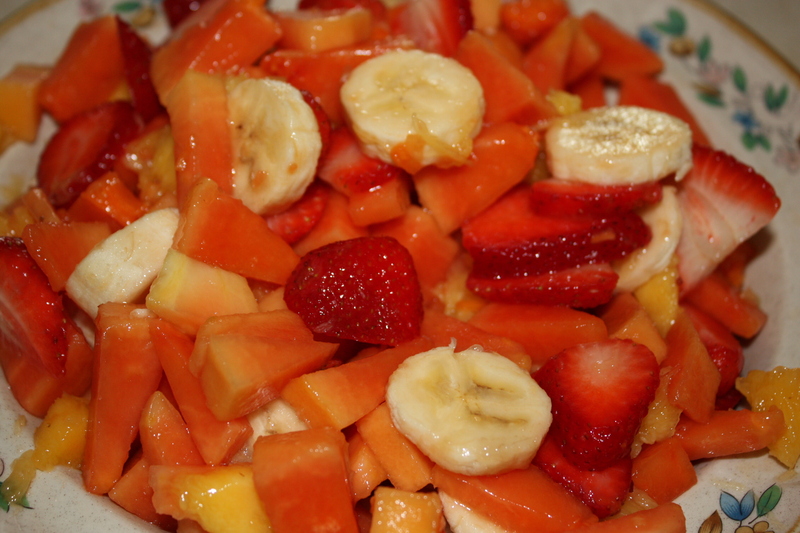 Diced Fruit Salad pg. 147 I liked this salad because it got me to try new fruit that I don’t normally eat (papayas and mangos) I wouldn’t say that they have become my favorite fruit but it’s nice to get variety.